Imagine the feeling of your friends & family having the time of their lives and telling everyone that your event was the best wedding reception…ever! DJ Keith Erickson takes pride in helping you create a unique atmosphere while you dance, laugh and enjoy an unforgettable evening with your loved ones. 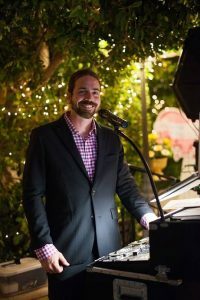 DJ Keith Erickson will represent you in a tasteful manner while keeping your wedding reception lively and fun.